With a career spanning almost 50 years, David is widely acknowledged as the driving force behind the recognition of leisure property as a distinct and important property sector, deserving of special techniques in dealing with Lease disputes, Valuation and approach to Agency skills. Having established the sector’s first dedicated advisory business, David – known by his peers as “Mr Leisure” – has dealt exclusively with all aspects of licensed and leisure property throughout the UK, Europe and North America for over four decades. He is the Founder and President of the Restaurant Property Advisors Society and a Fellow of the RICS. He has chaired numerous industry committees and he also founded and created the RICS Property Quiz which is now the major individual source for funds for Lionheart. 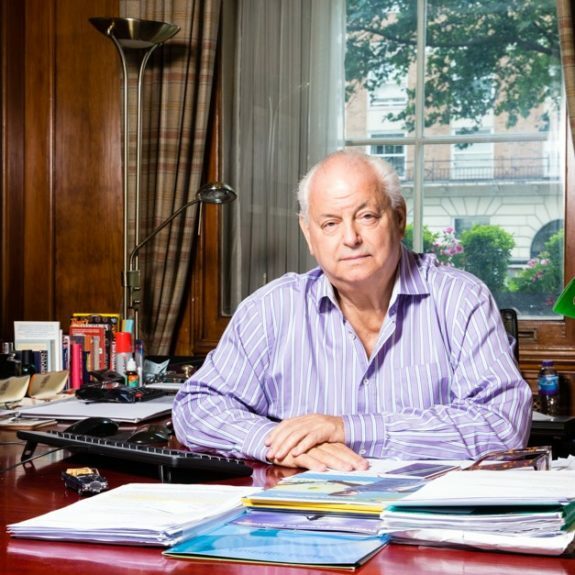 David is past Chairman and a major shareholder of Earls Court & Olympia. His current role embodies strategic, advisory and educational activities. Through the Coffer Foundation he gives support to a wide range of charities including disadvantaged youngsters through sport. In 2012, David was awarded with a special prize for Outstanding Services to the Leisure Industry at the annual Peach Network 2020 Conference Hero and Icon Awards. In 2010, he was named one of London’s 1,000 most influential people by the Evening Standard and hewas Property Week’s 2008 Leisure Personality of the Year.